The government is eyeing to generate some one crore employment opportunities and boost export earnings by around $40 billion through the establishment of countrywide 100 economic zones by 2030. He said the government approved some 79 economic zones including 56 public and 23 private economic zones till June 2018. According to the ministry information, the government has undertaken various realistic steps to ensure fast industrialisation, generate employments and boost production and export earnings. In order to increase industrialization and create employment, the government approved 600 industrial enterprises for setting up their industries in eight export processing zones till June 2018. These industries are being set up at these export processing zones (EPZs) — Chattogram, Dhaka, Cumilla, Mongla, Ishwardi, Uttara-Nilphamari, Adamjee and Karnaphuli. In the fiscal year 2017-18, export earnings by the EPZs totaled $7,208.27million through exporting various goods. 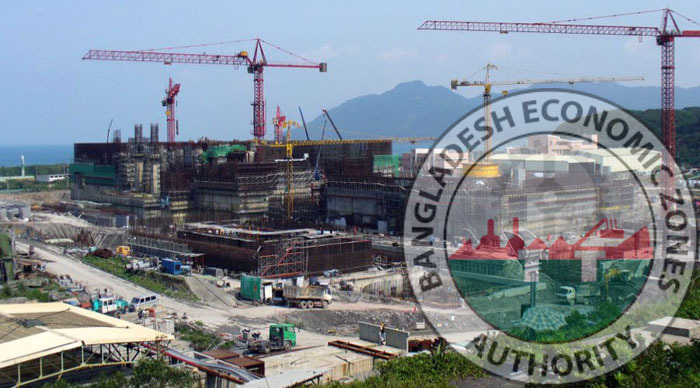 The Bangladesh Export Processing Zones Authority (BEPZA) gained a staggering 200.93 percent growth from the 2009-2018 period through investing $3,000.83 million. Besides, the government increased the minimum wages of the EPZ workers twice up to 60 percent over the last 10 years. The government also enacted The EPZ Workers Welfare Association and Industrial Relations Act, 2010 aimed at protecting the rights of the workers in the EPZ. Besides, process is also underway to develop the main export earning sector RMG, develop the light and medium industries, improve the quality of local produced items as well as steps are also underway to diversify the exportable items through ensuring excellence and control, and improving the quality of products into international standards.